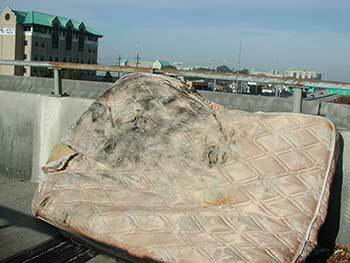 Disposing of a mattress is one of those things that should be simple but is surprisingly hard if you don’t know how. It’s so bulky and people seem reluctant to take it off your hands. So I’ve put together this list of 5 ways you can dispose of your mattress. Some are free, some are paid and some will leave you with a profit. First off, please please please Do not dump your mattress in an alley or at the side of the road. It won’t go anywhere and is just such a nuisance. Especially when disposing of a mattress can be so easy! So keep reading to find out how easy mattress disposal really is. This only works if you’re buying a new mattress of course, if you’ve already bought one or are getting rid of an old one it won’t be much use. But companies like Mattress Next Day offer a mattress collection service independent of buying a mattress which is probably the easiest and simplest way to dispose of a mattress. Otherwise check with the company you’re buying from, if they don’t make it clear talk them and ask, it could be an extra fee but it saves a lot of hassle if you can afford it. This depends on the quality of course, If it’s really old and really well loved to the point of tears or stains then it won’t make much of a donation. But if it’s in relatively good condition and still has the fire safety labels then you can normally donate it no problem. You’ll likely have local charities that will be interested in taking them but if not I know the British Heart Foundation do, and they can come and collect it. Now each council in the UK is a little different so the process varies. But the best place to start is a google, I’m in Glasgow just now so I just searched “glasgow council mattress collection and found it straight away. That site had a phone number which I would call and they should come and pick it up. Again, if it’s turned yellow and the springs are poking out you’re not going to be able to sell it. But if it’s good quality and maybe you’re just changing mattress to a different type then by all means sell the old one! You can even sell it a bit cheaper since you’ll be saving money getting it collected. Try Gumtree of a local facebook group. You can recycle mattresses but the availability varies widely depending on where you live. 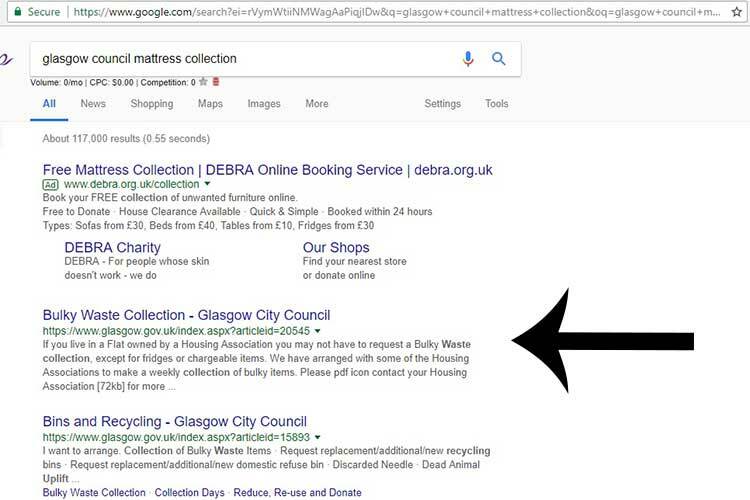 The best plan again is to give it a google search for “mattress recycling ‘your city’”, so I would search for “mattress recycling Glasgow”, then I can see all the local places that offer it and can give them a call to check they do and to see if there is any charge involved. Or you could even store your mattress if you’re not ready to get rid of it just yet.